People have asked what gear we use when we are out on the trail with our teams. Here in Willow it can get very cold out on the trails and rivers where we run our teams in training. The coldest I have seen in my three seasons is a recorded minus 36 degrees (F). Over the coming days we will share what we have found that works best for us. Many people need more or less but as they say in Alaska there is no such thing as a bad day, just bad gear. I, Robert, use a Wintergreen Northern Wear expedition shell anorak with a liner in size 2XL. I bought it a size bigger than I normally wear because I want to be able to layer. This parka has been used by expeditions to the North and South Pole so it has to be good enough for mushing, right? When I purchased this parka online I didn’t know what to expect at first. It is very light compared to others from companies like Cabela’s and Canada Goose. It is down filled and lined with a heavy fleece liner inside that can be removed if you like. Outer shell constructed from treated 3-ply nylon with DWR (Durable Water Repellency), made to shield the body from the wind, also breathable. The Anorak features adjustable draw cords on the waist and hood, as well as an inside zip pocket. The inside of the jacket has a polyester shelter lining, which is suspended from the shoulders to prevent moisture traps. A really nice touch is the hand-warmer cargo pockets, which have a fleece lining on the front (shown in the top left photo below). I found these to be especially handy after working without gloves in frigid weather. I would like to see another set of pockets on the inside. It does have two zippered ones where I often stow my iPod. 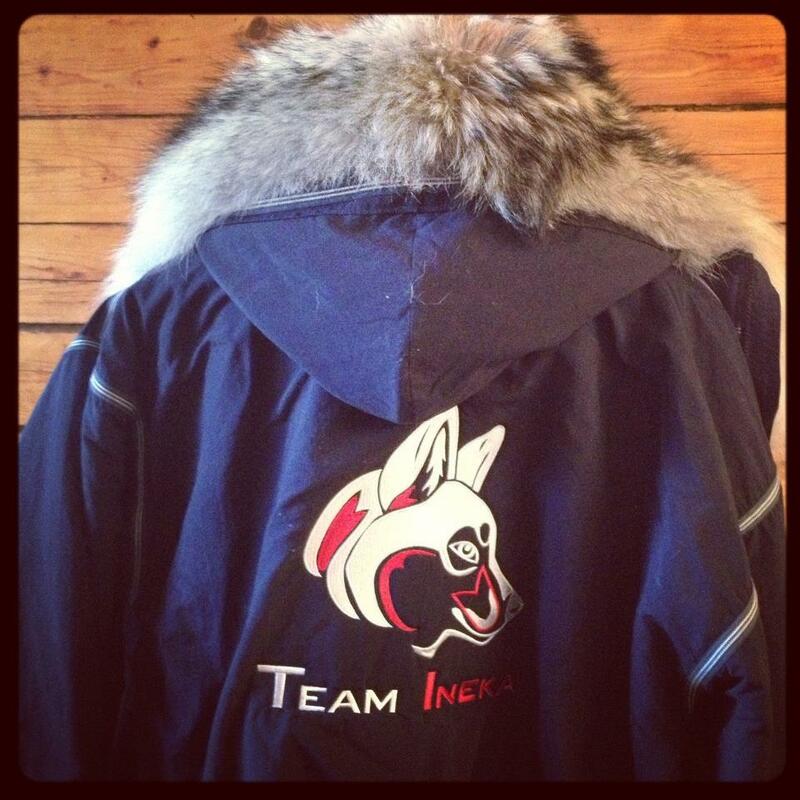 You can order the parka from Wintergreen with a coyote ruff for about $150 dollars. I did so when I bought it and quickly found out it would not work in extreme conditions. I found a ruff at a local furrier for $275 dollars. It is made of otter, wolverine and gray wolf. These three furs are supposed to be the best for extreme conditions and how they tackle the elements. You don’t want a ruff that freezes up or retains moisture. Be design the ruff’s job it to keep wind off your face and envelop your head and face in a mask of warmth. This one does this job exceptionally well. It is about 10 inches wide and 28 inches long. I decided to keep it long so I could tuck it into the top of my parka for extra warmth. I sewed a piece of velcro on the ruff and my hood and often remove it unless it is really cold. What type of parka and ruff do you use?